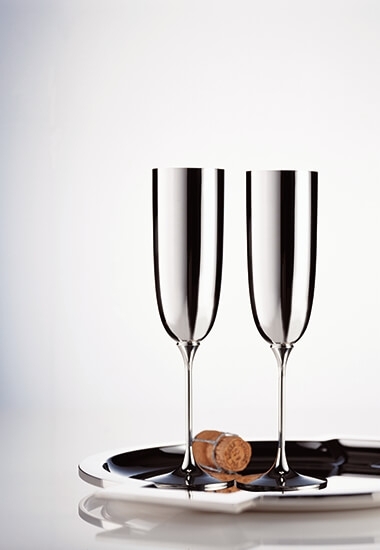 The high temperature conductivity of silver, allows the silver flute to immediately assume the temperature of the Champagne. Contrary to all other materials, the coolness and freshness of the silver flute immediately creates a pleasure in hand and mouth. Convince yourself about this new experience.